What specific things can teachers do to promote creation of content by students? This topic created quite a buzz in #edchat with lots of ideas and examples flowing from participants (see the links at the bottom of the page). It proved to be a popular session and extracting the main points to provide this summary cannot have been an easy task. So, hats off to Jessica Allen for her great summary this week. Everything you need to find out more about the ideas and opinions of this #edchat are here including the great links and she has provided us with the video above which gives us even more food for thought! Thank you Jessica! Find out more about Jessica from her bio at the end of the summary. In my opinion it is one of the most topics that need to be discussed by teachers who are trying to implement educational technology in a relevant and meaningful way with students. As the research, experts and edchat conversation suggests, we need to include students in not only using technology but using it to help them communicate their thinking and sharing their voice through the creation of digital content. This is a key move that many teachers are unable to move to when first using technology. It’s a push to go beyond using to incorporating necessary 21st century skills such as creativity, creation, expression and communication. 3. Have students use technology as the “collector” for all of their shared and created content; digital portfolios, blogs, wikis, interviews, edmodo, etc. @thenerdyteacher: #edchat – Once I let I let students create their projects, class engagement skyrocketed. Ownership is key. @jaymelinton: #edchat Show students/parents/admins that we need to value creativity and problem solving over test scores. @delta_dc: Never tell people how to do things. Tell them what you want to achieve, and they will surprise you with their ingenuity. How can we encourage teachers to see the value in becoming professional life-long learners? Tags: #edchat summaries, cost of education, Edchat, edchat guest blogs, Education, Education in the 21st century, education in the digital age, Education reform, education today, educational bloggers, educational blogs, Educator's PLN, educators on twitter, Educators working together, spending money on education, Technology in education, where should education money be spent?, where would you as teachers spend the education budget? Our summary for this edchat is brought to us by Brian Thomas who is a regular edchatter and always adds very thought-provoking comments. This week was no different as he and other edchat participants laid out their wish-lists for spending on education and came up with many innovative and great ideas for where to get maximum value out of the money allocated to education. Needless to say these were a world away from where we find the money actually spent. Brian has done a great job pulling all these ideas together for this summary as I’m sure you will agree. Thank you Brian – see more about Brian in his short bio at the end of the post. Hands down, the best on-demand source for PD I have found is Twitter and the countless thousands of teachers sharing and building a PLN. 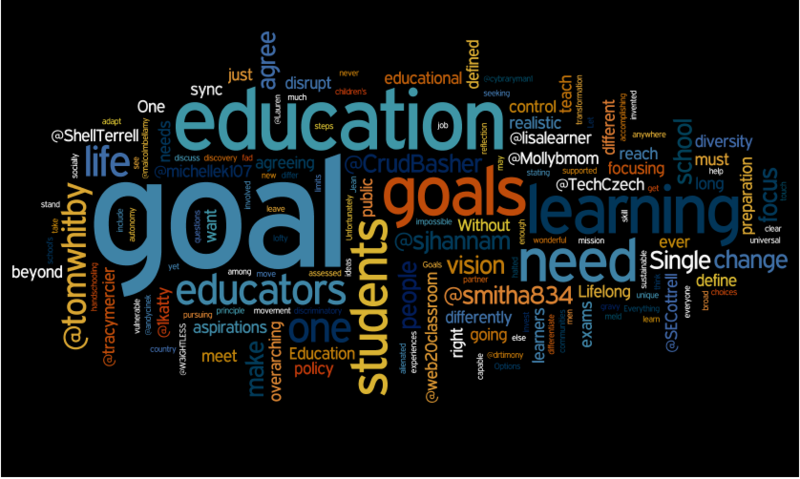 It is my pleasure and honor to post my thoughts on the #edchat from the early Tuesday session on April 19th, 2011. This was, as always is, a lively chat. Many thoughts centered on the cost of education. Can education be streamlined? Do we need a shift in what we call school? How can educators persuade the money-holders? Online content can be a replacement for the traditional textbook allocation. Educator salaries as a piece of the funding issue. The high cost in money and time of standardized tests. How do we (educators) communicate our vision for changes in Ed funding and reform. @southernbelle85: beginning school year after heat of summer, like Sept., would help and equal less energy for the air conditioner. My name is Brian Thomas. For twelve years I taught middle school social studies in the Lakota Local School District (Cincinnati, Ohio). For the past seven years, I have worked for the K-12 social studies provider TCI ( http://blog.teachtci.com ). This week’s #edchat touched on a topic very close to people’s hearts and the discussion was lively to say the least. There were tons of links shared and lots of new collaborations arranged! Taking on the task of ploughing through the archive to produce this week’s summary is Tracy Mercier (@tracymercier) who has done an amazing job! Thank you Tracy for sterling work! Find out more about Tracy from her bio at the end of the post. With everything going virtual and making its way to the cloud, it’s inevitable for us to ask what will happen to textbooks. But, more than that, what will happen to anything in print? As we enter a more digital world, we consider the implications for educating children how to navigate their way. During the chat today, a few points and/or concerns were resonating: cost, content, and process. As a few pointed out, the cost of electronic textbooks is not much different than those in print. Most having only a $10 difference. There is also the additional cost of purchasing an e-reader &/or laptop to access the digital textbook. The issue of cost raised a few concerns about equity. How can we ensure that those without access at home would be able to participate outside of school? The conversation revolving around content and process brought up some excellent points. Do we have to use textbooks (print or digital)? If we are going to go digital, how about pulling in other resources: video, Wikipedia, etc. This brought in concerns about disseminating the same information to students vs. providing students with choice. Choice in what to read or how to get the information: video, going to the source (asking the author). Some also suggested blending the two. Providing the students with an array of resources in print and online. Yet, as many of us know, just because it’s out there on the web, does not mean that it’s credible. What skills do we need to consider teaching our students in order for them to know when they are being fed false information? And, how do we scaffold the skills, tech and literacy, so that our students are successful? Training was also a concern. Not only do we want our students to be successful with the tools, but it was clearly important that our colleagues be just as successful implementing them. tomwhitby: By switching to digital content that huge amount textbk $$$ could be diverted to tech tools and there would still be money left over. tomwhitby: Digital is more relevant and timely than Print. aguteirreziT: Agree that ebook and book should coexist. Fond memories from childhood with books. Shame to eliminate completely. tkraz: Is there a resource for teachers who want to “construct” a free online version of their text? Let us get started that way. odysseyware: Don’t forget it’s not about us, but what students will do. It can never be digital or paper bcs every kid is different. So how? vickicobb: Where is it written that all kids have to read the same bk on a topic? Why cant they read diff bks and discuss?? michellek107: 1 problem w/ print textbooks is that many are used as “THE curriculum,” rather than to support curriculum. lhmiles2: Give me a vast supply of primary & secondary documents, and I will never touch another textbook again. Students love real content. min_d_j: digital text = flexible text. How about interactive PLEs that include text, images, video, simulations, interactive components? Mamacita: Good teachers turn textbooks into magic carpets, & poor teachers refuse to use magic at all. It would be the same for ebooks. cybraryman1: Our job as educators is to find the right method (book & internet) so every child can learn & reach his/her potential. Tracy Mercier is a third grade teacher at Broad Brook Elementary School in Broad Brook, CT. She teaches with a passion for integrated curriculum and technology. 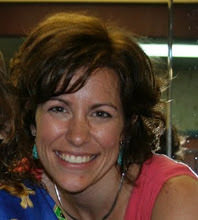 Tracy is also a Responsive Classroom Consulting Teacher and CT ASCD Board Member. 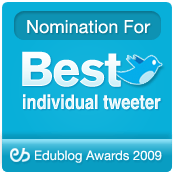 ● If you would like to join others in transforming the discussion into action, please feel free to join the Edchat group on the Educator PLN ning. ● Jerry Swiatek does an incredible job of posting each archived transcript on the Edchat wiki created by Steve Johnson. This way you can look back at your favorites! ● Follow other Edchatters and make sure you are on this Twitter list if you participate in Edchat! 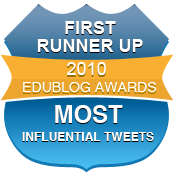 ● Read summaries of the 7pm EST/1 am CET Edchat discussions. What should be the single focus of education if we could agree on only one goal? Tags: #edchat summaries, a vision for education, Edchat, edchat discussions, edchat guest blogs, edublogs, Education, Education in the 21st century, Education policy, Education reform, educational bloggers, educational blogs, educators, Passion in education, Technology in education, the goal of education, What is education? One goal for Education - what is it? Thank you to Katherine Maloney (@1katty) for this summary of #edchat. Last week’s discussion was fast and furious and I think this is reflected in Katherine’s post here – so many tweets and so many great ideas! Thank you Katherine for a very comprehensive and thoughtful summary. Read Katherine’s bio at the end of the post. For those of us involved in the daily grind of school, today’s #edchat helped us all to take a step back and look at the big picture: what should be the single focus of education if we could agree on only one goal? @rliberni and @ShellTerrell were our moderators, and they, as usual, did a brilliant job. Thank you! While final consensus on a single focus of education may be difficult to reach, my personal takeaway from this #edchat was the realization that it is extremely important for us to try to arrive at one. My experience in life has taught me that success cannot be achieved without clear goals. While the process of identifying these goals may be a difficult and messy one, I do believe that it can be done and that doing so will be worth it in the long run. Please see below for a summary of the main themes of the discussion and a selection of a few of my favorite tweets from it. Suggestions for a suitable focus for education included: life-long learning; critical thinking and problem-solving; helping students to find and pursue their passion(s); learning from failure; global citizenship; creativity; fun. Several suggested that there was a need for a clarification of terms: is the right word “focus,” or “vision,” “mission,” “philosophy” or some other? The more conventional ideas that education should focus on preparing students for success on exams, college, future employment, etc. were also debated; it was generally agreed that these should be referred to as “targets” or “outcomes” rather than as “focuses,” and that these targets need not be the same for everybody. Predictably, questions were raised about whether or not it is possible, or even desirable, to identify one, single focus for education. While being focused and having clear goals can help to bring about powerful change, a “one size fits all” approach to education could end up excluding many. The questions of how we arrive at this agreement – the obstacles that are preventing agreement from being reached – and how to turn the agreement (if it can indeed be arrived at) into a reality were also discussed. For example, who gets to decide on this focus – the students, the teachers, the parents, or…? Once established, how can we ensure that there is no conflict between individual or local interests and national or international ones, or even between student/parent/teacher/school goals? How can we ensure that everyone interprets the goal in the same way? How can we know whether or not the goal has been achieved (i.e. how do we measure a goal such as “life-long learning”? Portfolios, or…?)? Finally, how can educators implement a goal such as “instill a life-long love of learning” within our current system – an often limiting and restrictive one? While there was not final agreement on whether there should be one focus or many, or what exactly this focus (or focuses) should be, most participants in this discussion did agree that change is needed, and that it can only be accomplished by working together and involving all of the key stakeholders in the decision-making process. Parents and policy-makers are an important part of this discussion, though very few if any were present in our #edchat. @Mollybmom: Inviting our students to engage as life long learners. @CrudBasher: Single purpose of education: To help each child reach their full potential. @Mollybmom: Personal reflection, self discovery, curiosity, asking questions and seeking answers…owning the learning. @andycinek: Single focus options: adapt, change, learn, fail, discover. @1katty: How about – “tailoring individual learning experiences so as to meet the unique needs of each student”? @tracymercier: My largest goal is for them to be socially responsible. Everything else is gravy. @SECottrell: That they invest their lives in pursuing the greatest good for every life they touch. @Lauren_Learning: Lifelong learning is the only sustainable focus. If we simply teach skill mastery, the learning ends when students leave school. @malcolmbellamy: Education should be about preparation for life, not exams. @sjhannam: Education should be about preparation for life, but life = competition in job market nowadays. Exams are gatekeepers. How do we change this? @smitha834: I agree with the push back on exams but educators need to show the public what’s going on and that they’re not afraid to be assessed. @tomwhitby: Are students ever allowed to establish a goal beyond stating what they want to be when they grow up? @TechCzech: We need to differentiate between aspirations, goals and objectives. Let aspirations be lofty. Goals realistic. Objectives measurable. 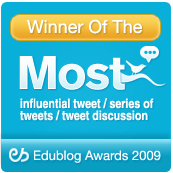 @web20classroom: Should there be just one goal? Can there be just one goal? @domi75P: One goal seems impossible. There is so much diversity among people it would be easier to define what we do not want. @discomfortzone: Is it wrong for schools to differ? Do they need to be universal? Have the same goals? @TechCzech: I went to school in a country (Czechoslovakia) where all “educators” agreed. Not sure it was for the best. @CrudBasher: I am for charters, public, private, unschooling, handschooling, online, offline and not invented yet. More choices! 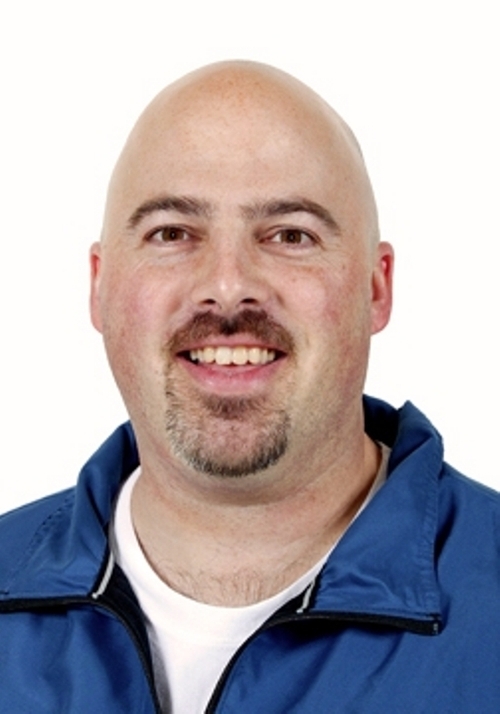 @tonychilders: Anything beyond two or three goals waters down efforts and distracts. @lisalearner: Without the same goals, we’ll never reach any goals. A divided house can’t stand, right? @W3iGHTLESS: Yes, but does agreement on one goal honor the diversity of our students? As long as the overarching goal is broad enough. @lemino: I think all movements have a defined vision, passionate leaders who define vision for others who run with it! We need that in education! @tomwhitby: If educators cannot agree on where we are going, how can we ever get from where we are, to where we need to be? @1katty: Without a clear overarching goal, perhaps educators make themselves more vulnerable to the latest fad or trend. @ShellTerrell: What is preventing us from agreeing on one educational goal? @michellek107: Success defined differently by different people from different cultures and places. @SECottrell: Agreeing on realistic goals for students requires a vision of the world they will live in. @sjhannam: Educators in a school may agree with goal, but interpret differently what that means. Uniformity unrealistic? 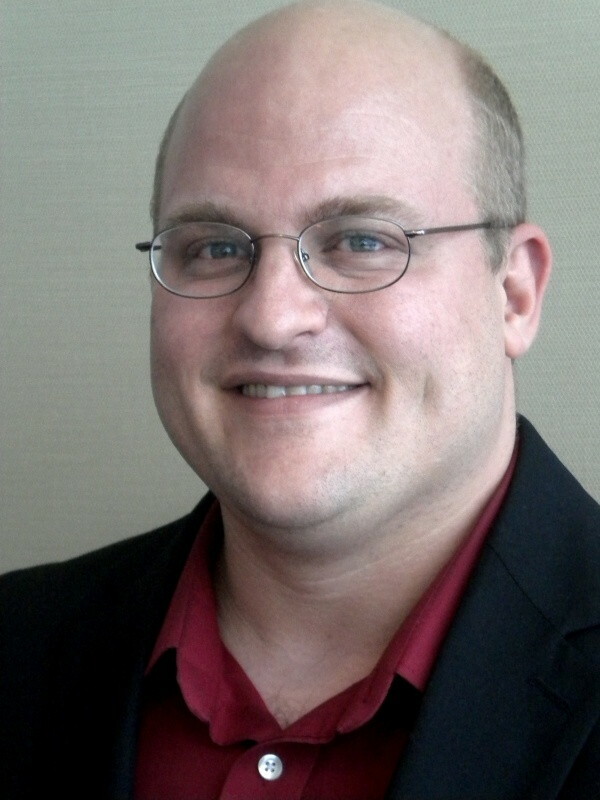 @CrudBasher: Here’s a related question: Who currently determines the goal of education? @tomwhitby: What if a parent’s goal for the child’s education is not in sync with the school’s? @tracymercier: Unfortunately, we are all mandated to teach specific content (NOT concepts) that limits the amount of autonomy we provide students. @tomwhitby: Lifelong learning only happens when people control their learning. If that’s the goal,when do kids control their learning in our system? @sjhannam: We need to ask why teachers are not involved in policy making. What’s the point of educational policy? Why is it discriminatory? @ShellTerrell: Is education transformation halted by educators not agreeing on one goal or a few goals? @EduTechSmith: Let’s not make excuses for why it is hard to achieve this goal and start focusing on accomplishing the task. @michellek107: Schools, communities, and parents must partner together for children’s education. Not in sync – need to meet and discuss. @web20classroom: Big goals must be supported with action steps that move everyone in the right direction. @smitha834: To truly disrupt education change needs to include the constituent stakeholders; if less are alienated more can make a movement. @cybraryman1: Love to see us take all these wonderful ideas and meld them into our mission statement for education. @smitha834: My #edchat takeaway: my goal is to disrupt education by focusing on learners, community, and process. School is anywhere learning occurs. lemino: @ShellTerrell been watching @SirKenRobinson http://youtu.be/r9LelXa3U_I talk about revolution and not evolution. Goal? My name is Katherine Maloney, and I have been teaching IB English and Theory of Knowledge overseas for the past 12 years. I have a passion for reading, writing, the environment, traveling, art, yoga, and for using technology to enhance my students’ learning. You can read more at my blog “KatScan”, or by following me on Twitter at 1katty.